Welcome to our website, if you are plannig to visit Italy for your next holidays, visititaly.info provide more than 500 pages about Italy, so a really complete travel guide for your next holidays in Italy. 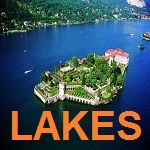 We offer cheap but also luxury hotels, tours, packages, rental car, flights. Everything your need you can find here, all about tourism in Italy with amazing beaches, mountains, monuments, culture, cuisine and best places to visit in Italy!!! 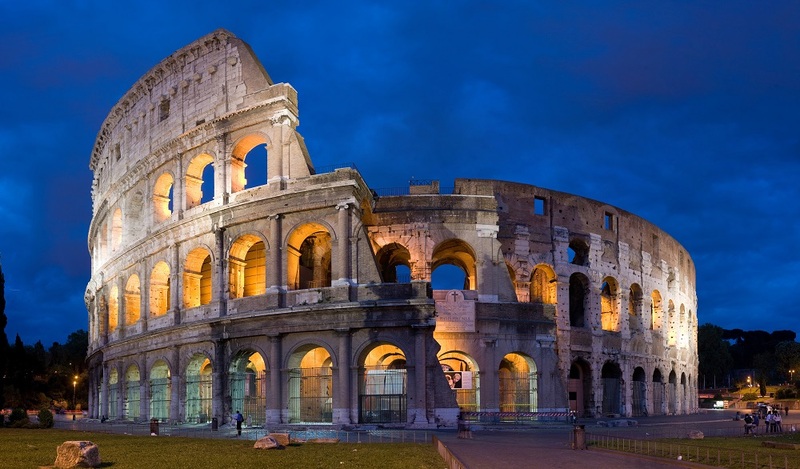 Better known as the historical center of the Roman Empire, Italy provides access to more travel attractions than you can hope to see in just one visit. In fact, you will be surprised to find out that Italy hosts more UNESCO sites than any other country in the world – not less than 47. Most of them are located in the urban environment and become an essential element in understanding the contemporary occidental civilization. From the inclined tower in Pisa to the intriguing architecture of the cathedral in Florence or the obscene scenes in the art galleries of Tuscany, a trip to Italy is certainly one of those things that should not miss from your bucket list. Simply put, it becomes a must-do experience. Just like you have probably guessed already, the culture of Italy does not belong to the past only. This country is currently the most important one for the haute couture enthusiasts. It is an actual attraction to check some of the fashion commercials on television or the beautiful work of artists presenting their work on the paved streets of Italy. Those who love shopping will explore a heavenly place. Take a quick walk around the streets of Milan and you will be surprised. Interested in the local cuisine? You better get ready to experience the vacation of a lifetime with some unforgettable recipes. The Italian cuisine is world renowned. It is substantially tastier, more delicious and aromatic when prepared at “home”, rather than in an Italian restaurant from a different country. Italy provides countless options to its visitors. 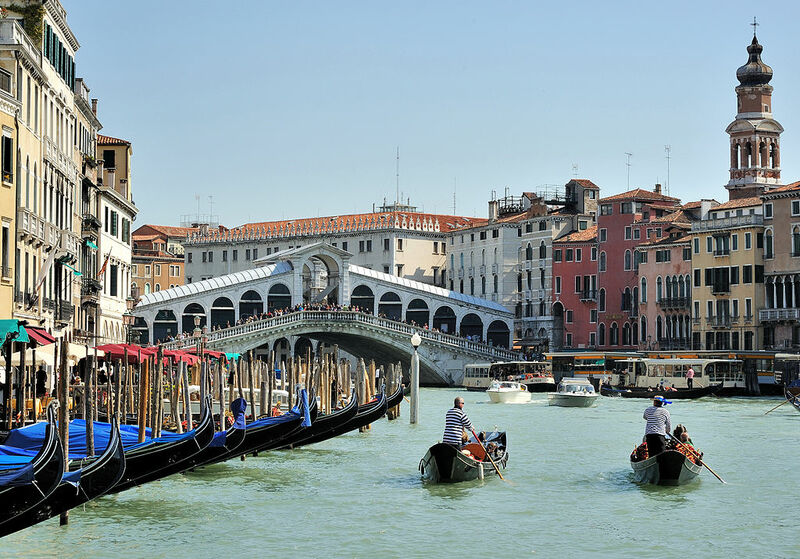 You can visit Venice and enjoy the gondoliers’ music in the breze, but you can just as well relax on the amazing Amalfi coast or just rediscover your romantic side in Verona while having an espresso in a crowded market. Nothing is more spectacular than watching the sun go down behind the coiled silhouettes of Gothic structures. All in all, a vacation to Italy can bring back good memories for the rest of your life. Moreover, it will make you want to return at some point or another, only because there is so much more to see in there. Most tourists choose to visit Italy during the summertime – from June to August. However, the best time to visit Italy is during the spring (April and May) or fall (September or October). Why? Simple! The sun is milder, so the weather is just fine. You are less likely to end up exhausted due to high temperatures, but just enjoy your days. Days are still sunny and pleasant, while accommodation is way cheaper. There are less tourists around, hence the better experience of the Italian lifestyle. If you enjoy the sea, the water is quite warm to enjoy a bath every once in a while. Also, it is worth noting that most Italians choose to organize their vacations in August. Therefore, many shops and restaurants are closed. 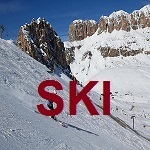 On the other hand, if you are after a skiing vacation, mountainous areas maintain the snow from December to April. 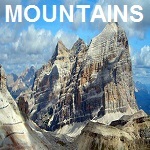 You can also take a trip around the Alps from June to September. In terms of architecture, Italy will bring in some fancy examples of culture and power that you cannot admire anywhere else – or perhaps only on television. The Colosseum is one of them. This place used to host grandiose and outstanding public shows, as well as gladiator fights. Feeling exhausted? 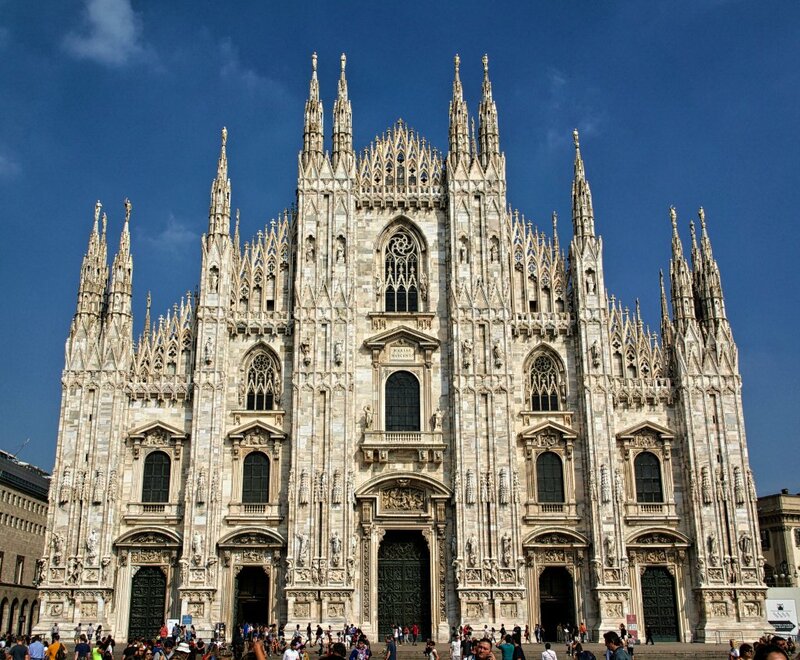 Take a rest in the shade of the Milan cathedral, one of the most imposable examples of the Gothic architecture. Plus, you can check out the ruins of the antique city of Pompeii and just stand “face to face” with rocky people who were actually affected by the natural catastrophe caused by the eruption of Vesuvius around 2,000 years ago. Do not overlook the Uffizi art galleries from Florence and enjoy some of the finest collections in the world. The list is certainly longer than this, as there are countless things to explore. 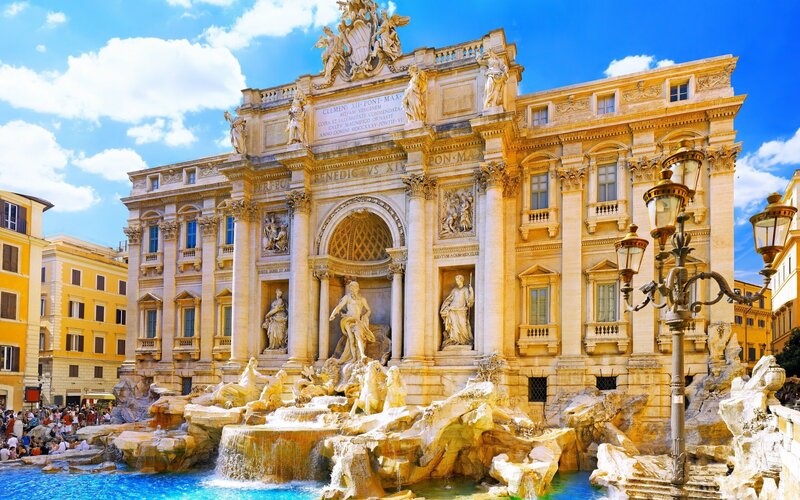 In order to make this experience even more beautiful, stick to the legend and visit the famous Trevi fountain. Turn around, throw a coin over your shoulder and make a wish. How about Rome? No trip is complete without visiting Vatican’s museums or admiring the incredible ceiling of the Sistine Chapel. But then, Italy is not all about the urban lifestyle, historical monuments, art and fashion collections. Instead, the rural lifestyle is just as amazing. Rent a car ad explore the roads around Chianti. The country of wines and olives will simply amaze you with its beauty. All in all, Italy has everything – a unique environment blessed with so many monumental attractions, an outstanding cuisine, unique drinks and a mild weather. This is what every tourist wants to get. This is not only the cradle of the modern occidental civilization, but also one of the most captivating touristic destinations of the contemporary world. If you are looking for the romantic vacation of a lifetime, Italy is a must. This destination takes romanticism to a brand new level. It makes no difference if you plan to enjoy the honeymoon, a celebration or perhaps a trip with your partner – away from kids, work and everyday worries. You can enjoy some quality time around the mysterious Venice right before having an outdoor dinner or perhaps a glass of wine. Visiting Juliet’s balcony is a must if you are the romantic type or you hope to impress your partner. Do you love history? Do you enjoy ruins, castles and museums? Do you feel like going back in time whenever you visit such things? Italy is the perfect place to experience all these things. Make sure that you do not miss the ruins of Pompeii. You can admire buildings and even rocky people who were caught by the devastating eruption in the middle of random activities. The leaning tower of Pisa is just as attractive, but also check the Colosseum and all the ancient ruins, castles, fortresses, churches and cathedrals. Interested in shopping? Consider it done! Italy is the world capital of fashion. You will see fashionable people wherever you look. They try their best to look good, so they never leave homes without doing their hair or grabbing their best shirts. Fashion shoes, designer pants and expensive shirts become everyday wear. Furthermore, there are not too many things more qualitative that something with the “made in Italy” label. 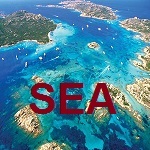 You should visit during the sales seasons – in the summertime and the wintertime. If eating is your favorite thing to do, the Italian cuisine is your top choice. There are Italian restaurants everywhere – in pretty much any country out there. However, you should know that the cuisine varies from one region to another. Research them before deciding which one looks more enticing. Other than that, leave room for surprises. Pizza is different from what you might be used to. Italians do not really prepare general pizzas with a million ingredients. Instead, they only stick to a couple of them. 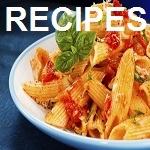 Pasta lovers will love the plethora of sauces too, so give them a shot, even if you have no clue what they taste like. Do not overlook the gelato either. Photographers will find beautiful landscapes everywhere. If photography is your thing or you just like to watch and contemplate, you will most likely find numerous breathtaking landscapes. Just take a drive around Tuscany and you will be surprised. 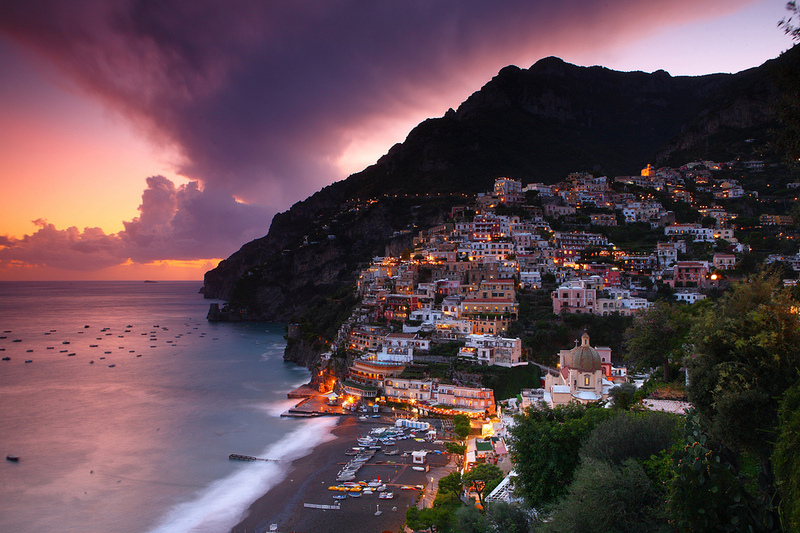 The Amalfi coast is worth some attention as well, not to mention the Cinque Terre. Photography can be performed inside cities as well. Apart from the actual attractions, you will find old houses, narrow streets and small details worth being photographed. Finally, do not overcome art either. In fact, art is one of the most popular reasons wherefore foreigners visit Italy. Not everyone might be a connoisseur, but it is still worth seeing some of Michelangelo’s work. Some other big hitters include Caravaggio, Botticelli and Raphael. 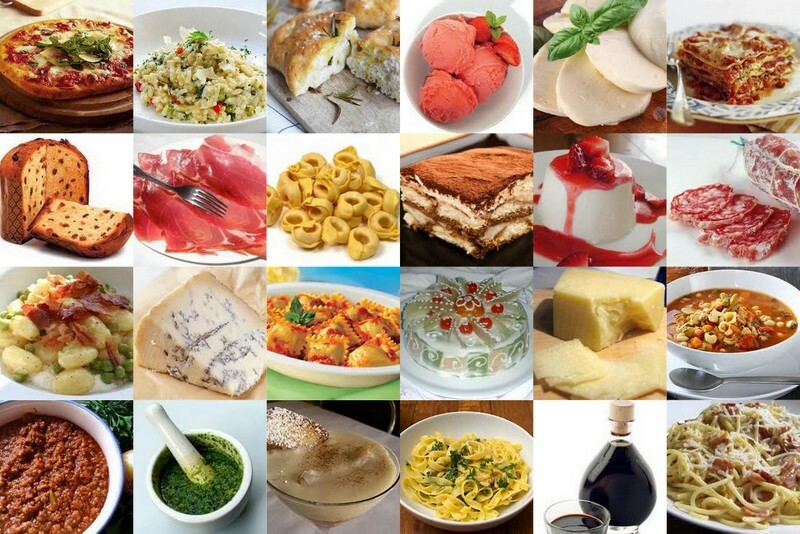 In most parts of the country, the most popular Italian menu would include antipasto, primo, secundo and dessert. However, pretty much every region of Italy has its own specific style. Generally speaking, Italians try to combine the healthy benefits of Mediterranean ingredients with an impressive plethora of seasonal spices. Italians base their meals on fresh ingredients, so processed food is usually out of discussion. Therefore, almost every menu will include cereals vegetables, fruits, olive oil, meat, fish or seafood. Worried about your diet or silhouette? You should know that carbohydrates are normally served as pasta, rice (or better said, risotto), polenta (hominy) and pizza. Once again, remember the regional specifics of each area. There are practically no techniques, traditions or foods with a national popularity. As a direct consequence, the Italian cuisine is extremely diversified. Each region has its own classic ingredients. Some of them can only be obtained locally. The same goes for specialties and traditional dishes. Antipasto represents a selection of aperitifs. Generally speaking, this dish is served hot, yet there are some exceptions as well. Primo is what Italians refer to as the first dish. It normally consists of pasta. Pastas are always served with a specific sauce. However, you may opt for risotto too, not to mention soup, polenta or gnocchi. It normally depends on the region or restaurant. Secondo is the main dish and almost always includes meat, fish or seafood. If you want, you can ask the waiter to serve it with contorno – a salad, vegetables or potatoes. The dessert is known as dolce. Thinking that your meal is over? Wrong! It might sound like a lot of food, but this is when digestive drinks kick in. These liqueurs are available in each of the 20 regions of Italy – limoncello, amaro and grappa are just some of them. Make sure that you do not miss a quality espresso drink. Also, a glass of wine from the local wineries is a must. From all the white wines on the market, you should try pecorino (obtained from Abruzzo or Marche), malvasia bianca (a common variety around Italy), catarratto (a Sicilian variety) or friuliano (normally obtained from Friuli). If white wine is not your favorite drink, maybe you should try the red one. At this point, you can try out chianti and sangiovese (Tuscany), Montepulciano (Abruzzo) and Corvino (Veneto). The best time to visit Italy is a concept that varies from one visitor to another. Why? Easy! There are more points of view. You can find the best time to visit Italy in terms of weather, prices, crowd avoidance, festivals, culinary calendars and so on. The ideal season is from April to June, but September and October make excellent travel times as well. The weather is excellent, while hotel rates are quite affordable. The weather is benign, which means that temperatures are excellent. The sky is sunny, so you can enjoy sightseeing and long walks along the narrow streets of Italy. It might get a big chilly overnight though, so you could use a long sleeve sweater in the evening. With all these, you can still enjoy a dinner outdoors. Another good news is that Europeans mostly go on vacation during August. Therefore, local attractions will not be very crowded. When it comes to the countryside, you will appreciate the wildflowers in the spring, as well as the brown and gold land in the fall. What can be more welcoming than that? No matter how many people visit Italy in August, most tour operators do not recommend it. The country can get pretty torrid. If you want to visit the south, you better avoid this time of the year. Air conditioning is not as popular as in other hot countries, so the humidity and levels of discomfort can become daunting. However, if you love the hot weather, August can still make a decent choice. Hotel rates might be higher or lower than normally, so you will have to shop around. During the middle part of August, many Italians are gone due to a two week national holiday. You might face plenty of closed shops and restaurants though – especially family owned facilities. Rome has tried to draw more attention during August. Therefore, the past years have brought in a wide plethora of festivals, shows and cultural events. Many of these events are free, only to attract visitors. Interested in avoiding long annoying queues and overcrowded attractions? Sometimes, there are more tourists than pigeons in Piazza San Marco from Venice during July. But then, given the high humidity and hot temperatures, you may not want to spend a lot of time in direct sunlight. Generally speaking, just like in any other place across the world, if you want to visit Italy for its travel attractions only, you should visit during the off peak season. Just because the weather is a bit different, it does not mean that you will enjoy the visit less. You may not spend too much time in an outdoor cafe, but you can always relax in a cozy trattoria. Venice can be foggy, but the mixture of water and fog will give it a beautiful appearance. The good news is that you might be lucky enough to see Michelangelo’s David without waiting a single minute in queue. Interested in a cuisine related trip to Italy? You may not be the only one. Also, you should know that Italians have a seasonal kitchen calendar. The main travel season is during the springtime. Markets are overfilled with all kinds of local products. Everything is fresh. Aromas will invade you, no matter what market you go to. On the other hand, the fall relates to the grape harvest, so the countryside becomes the best choice. The spring also relates to fava beans, while the summer relates to wild strawberries. During the fall, you will notice an invasion of chestnuts too. Italy is well connected to the entire world. You can get there by plane, car, train, bus or ship. Obviously, it depends on where you come from. The largest cities in the area have their own airports. If you choose to visit a smaller place, chances are you will find public transportation connections everywhere. The country has many highways and keeps large cities properly connected. Apart from using public or private transportation, visitors can also rent cars and explore the country by themselves. A good map is mandatory though, but also a little research regarding the best places to visit. The good news is that you can take your time and visit for as long as you want, without worrying about other groups or transportation times. Apart from the large cities, you do not always need a bus, as most travel attractions are within a walking distance from downtown. Once you get there, you can just use the GPS or check signs to reach to your destination. Can you imagine a European city with no cars? You want a city that is modern, agitated, calm and romantic at the same time. It sounds hard to believe, but this is one of those places where you can find more tourists than natives. Plus, tasty dishes are always served with aromatic wines and good music. This is when Venice kicks in – a priceless treasure that hides a lot more than that. It is one of those cities that invite you to discover them. Besides, water levels go up with every new year, so you might want to pay a visit before it is gone. Venice is always beautiful, so it makes no difference when you want to visit it. However, its reputation can be an inconvenient too, especially during the season – in spring and fall. Most sidewalks are overcrowded. Prices tend to go slightly up. On the other hand, travel attractions are overwhelmed by tourists, so you might need some patience in queues. With all these, it is worth confronting the negative aspects and discovering the beauty of Venice. It might be a good idea to visit during a local carnival – organized over 10 days at the end of February. The Venetian cuisine is a branch of the Italian cuisine. It took classic recipes from the Italian cuisine and enhanced them with a unique aroma, as well as specific spices and sides. Do not hesitate to order pasta con il nero di seppia – pasta and a rich tomato sauce with cuttlefish. They are dark though due to the ink. Fegato alla veneziana (Venetian calf liver) and risotto di pesce (creamy rice with seafood) are worth some attention as well. Some of the local specialties also include carpaccio, sarde in saor and antipasto di frutti di mare. Are you a vegetarian? There are plenty of dishes for vegetarians and vegans as well. 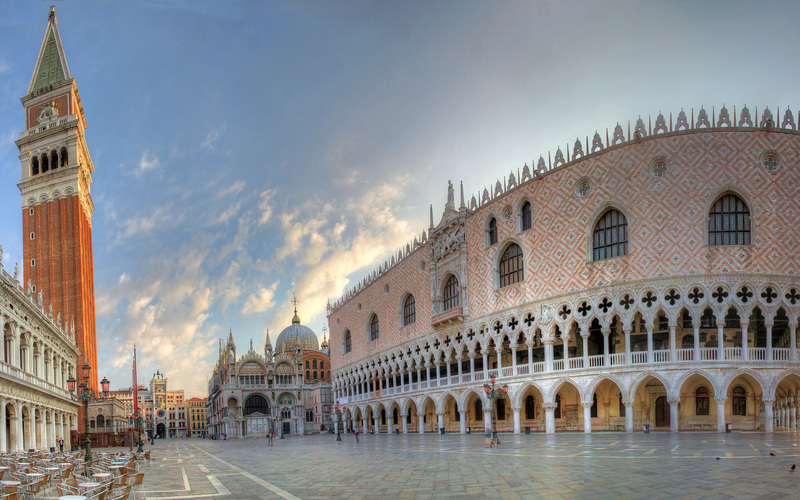 Do not overlook the Grand Canal, St. Mark’s Square, St. Mark’s Basilica, Bridge Of Sighs and Doge’s Palace. No tourist should miss these places. The Rialto Bridge used to be the only one crossing the Grand Canal. It is about half a century old and brings in a series of shops. Do take a quick tour with the gondola as well. There are plenty of them. 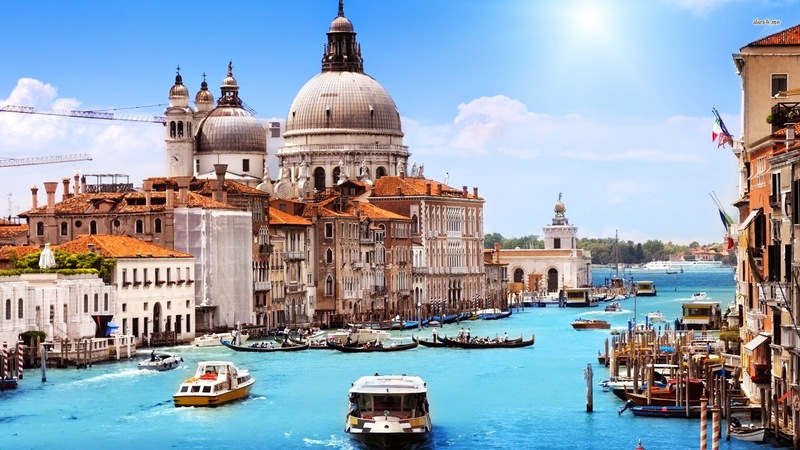 You can take a whole tour, check out the Grand Canal or just explore some of the smaller ones. St. Mark’s Campanile is currently the tallest bell tower in the area. You can easily recognize it and see it from a long distance. It was about 400 years old when it collapsed in 1902, but it was rebuilt within a decade only. Although the gondola is the most attractive choice for transportation, it is certainly not the only one. Vaporetto is a spacious water bus, while sandolo represents a light and narrow boat. Along with sanpierota, these are among the popular transportation choices for tourists too. Locals transport heavy stuff with topo boats, but they also use bragozzo boats for fishing. The ambulance and police are the only ones that may exceed the legal speed. Many gondolas allow up to ten tourists, while others can be booked privately. Prices go up after 8PM though, as the experience is more intimate. 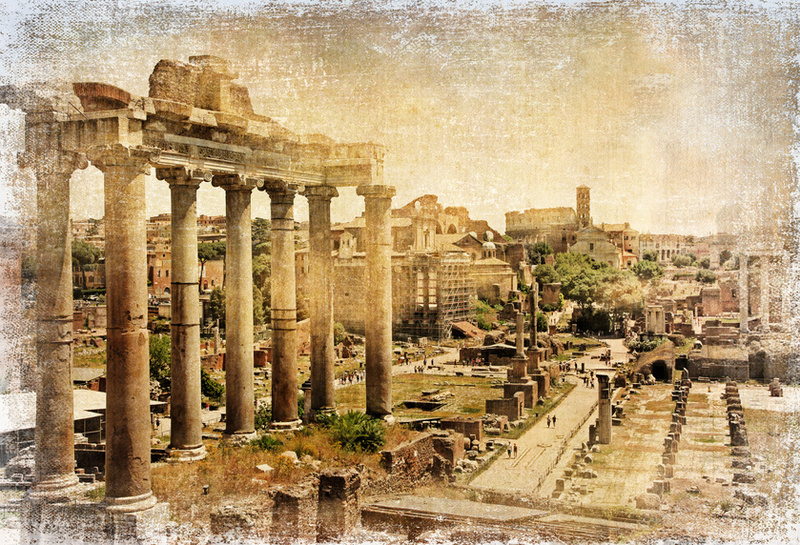 Rome is one of the most popular cities in the world. Every year, millions of tourists from all over the world come over to admire the treasure of Rome – from architecture and art to luxury and imposable buildings. The Italian capital is also known as the eternal city due to its unique beauty, amazing contrast between buildings and historical monuments, fabulous ruins and new modern locations. Many of these things look like they have nothing in common. But altogether, they compose an unforgettable landscape that will make you want to return. Rome has a Mediterranean climate, so you should certainly visit during the springtime. The weather is perfect, while the sky is blue. During the summertime, temperatures tend to go really high. They often jump over 35 degrees Celsius. For this reason, many Italians shut their businesses off and go on vacation instead. If you want to visit the Italian capital during the wintertime, temperatures will not go too low. They usually hang around 10 degrees Celsius. However, apart from the springtime, the second best time of the year is during the fall. Quick showers may ruin some of you walking trips though. Italians love good food, so most restaurants are downtown. It is easy to make a bad choice though. But then, if you can see any restaurants filled with locals, you can step in with no issues at all. Menus are quite diversified. If you opt for pizza, the main aperitif is a bruschetta – some toast bread with olive oil, garlic, salt and tomato sauce. Smoked meats like prosciuto crudo and salami are worth a shot too. The Colosseum is probably the most popular monument of Rome. It was built around 2,000 years ago. It was only used to host bloody and spectacular shows. You might need up to three hours to visit the whole place. On the other hand, Vatican is one of the smallest so called micronations – just 50 hectares and a little over 550 inhabitants. It has more attractions on site, including the Sistine Chapel and luxurious apartments. Pay a visit to the Pantheon as well – the most impressive temple of Rome. Although it was devastated overtime, it is still rated among the world’s wonders. You can get there by plane, car or bus. Public transportation is quite common in Rome, yet you should become familiar with the bus stations and locations. If you are not sure about it, just get a taxi. Rome has a subway too, yet it is not very popular among tourists, but mostly among those who live too far from the city center. Feel free to rent a car, but use a GPS and remember that once you get on the wrong lane, “Romans” are less likely to let you switch it, so you might skip some junctions and take the next turns. 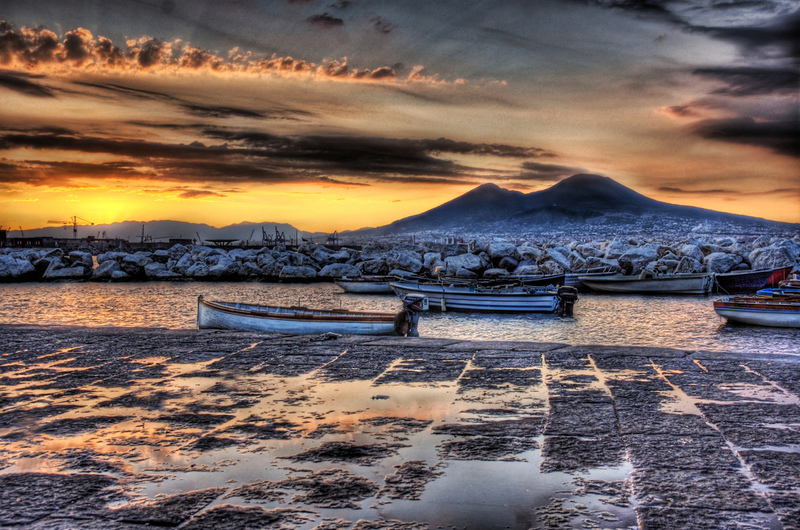 Naples has a Mediterranean climate, with high temperatures in the summertime and rainy days in the wintertime. Ideally, you should visit between April and June. The weather is fine, while prices are 30% lower. Besides, the narrow streets are not too crowded either. Autumn months are also quite attractive – September and October. Naples has stylish places, traditional restaurants and plenty of terraces overcrowded by youngsters. Exquisite menus and the intimate atmosphere guarantee for a good evening. Pizza is by far the most popular food in Naples. However, you will be impressed by the numerous varieties in Naples. You can also try traditional pastas, from classic recipes to some outstanding combinations. Palazzo Reale is one of the symbols of Naples. With an impressive architecture, the palace has been through various changes overnight. Enjoy the Palatine chapel, as well as the royal apartments and gardens. Monte di Pietà has been built around 500 years ago and hides some sumptuous interiors and beautiful gardens. Do not overlook San Francesco di Paola either – a religious temple whose architecture is inspired from Rome’s Pantheon. The Capodichino international airport is less than five miles away from downtown. You can use a bus to get from and to the airport. In fact, buses represent the best ways to explore Naples. They might be crowded sometimes, but they are inexpensive. The main train station in Naples is Piazza Garibaldi, which makes the connection with the city subway. Fashion and business live together in a harmonious manner in Milan, turning this place into one of the most renowned cities of the world. Some people may agree that Milan is not as attractive as other Italian cities. But then, it can impress visitors with a huge number of imposable churches, beautiful buildings and monuments. It is the second largest city in Italy and the place where large designers get their creations done – from Gucci and Armani to Prada and Versace. Do not forget the Bugatti factories either. Milan is the type of city that you can visit at any random time. Each season has its own charm. Most tourists come during the summertime, yet the springtime is the best way to get there. Days are sunny and it almost never rains. Temperatures oscillate between 10 and 22 degrees Celsius (night and day). As there are not too many tourists around, you will not have to wait in long queues. Besides, accommodation is usually 30% cheaper. Italians like good food. Downtown, you will find a plethora of restaurants, so it is easy to get tricked. Pay attention to restaurants with locals inside, as they know the best places around. The Italian food is not based on pizza and pastas only, so feel free to go crazy on the cuisine and try new things. The fresher your dishes are, the better. Cover a good meal with some Italian wine and you can call it a day. Duomo di Santa Maria Nascente is the symbol of Milan, as well as the third largest Romano-catholic monument in the world. The construction began in 1386 and was finished in 1887. The dome measures 157 meters in height. Next to the dome, you will find Piazza del Duomo, as well Galleria Vittorio Emanuele II – an exclusive galleria with the most renowned shops and brands in the world. It is worth visiting Teatro alla Scala and Basilica Sant’Ambrogio, among a few other places. Milan has two airports – Linate and Malpensa. Linate is closer – just seven kilometers. The subway is the most efficient way to travel around the city – fast and with no traffic. You also have trams, as well as buses. Locals love riding bicycles, so you an just as well rent one and explore the area on yourself. You will not depend on any schedules at all. You can also find taxis. Just wave at them on the street or call a local company. Florence is the capital of Tuscany and one of the most beautiful cities of Italy. It has a beautiful history, but it also impresses tourists with the numerous buildings from the Renaissance times. It has imposing palaces and wonderful churches. Simply put, this is a city of culture and art that still maintains the atmosphere from the 16th century. Many visitors are overwhelmed by the artistic opulence of Florence, so they spend their vacations exploring one place after another. This is also the place where the Medici family has lived – one of the most influential families from Italy. Florence has a Mediterranean climate, with hot summers and mild winters. Summers can bring in some sunny days and exquisite temperatures, while winters do not bring in any snow. 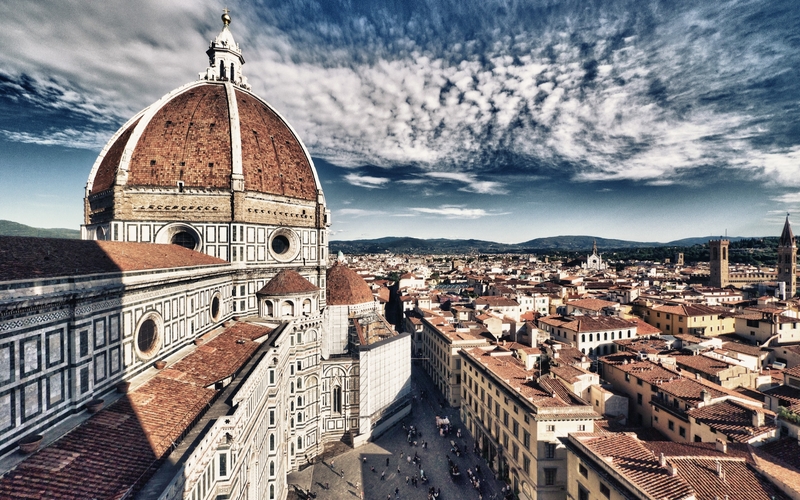 July and August are the most crowded months in Florence. Most Europeans go on vacation during August, so this is when the place becomes extremely crowded. Temperatures go higher than 35 degrees Celsius though, while the queues at the main travel attractions may take hours. Therefore, if you can visit during the springtime, do it. Prices are lower, but there are also less tourists around. The fall is another good time to visit. There are plenty of places to eat at, from terraces and bohemian restaurants to luxurious facilities. A typical menu starts with mozzarella in carrozza and goes on with a consistent amount of pasta – spaghette alla puttanesca, for example. When not sure about a main dish, give impepata di cozze a try. Do not be afraid to order pasta con il nero di seppia either. Pizza might surprise you because it is far from the fake one that you can find everywhere at home. Italians do not overcrowd their pizzas with more than just two or three ingredients. 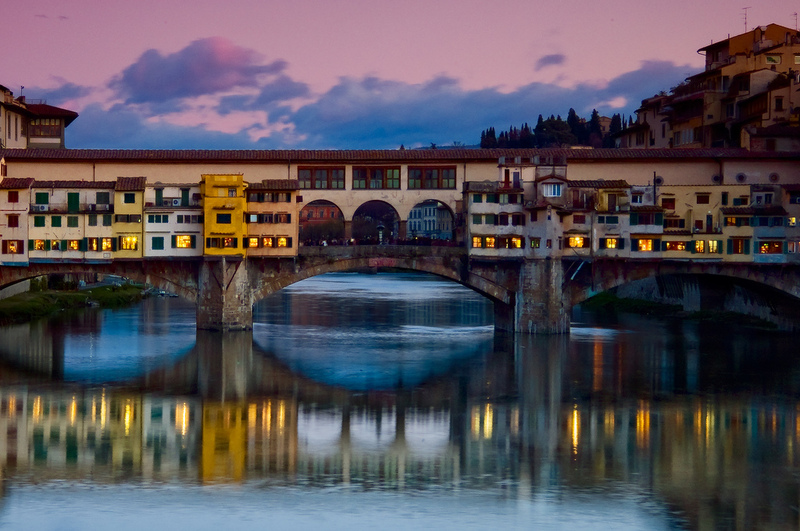 Ponte Vecchio is one of the symbols of Florence. Built in the 14th century, this is the only monument that has survived the bombings in World War 2. On the sides of this bridge, shopping fans will find the most attractive jewelry stores. Palazzo Vecchio was initially used in 1322 and still maintains the original role – the local town hall. The impressive building has a tall tower and a bell that notifies citizens in case of attacks, fires or floods. Piazza del Signoria is the cultural center of Florence – an authentic outdoor sculpture. It is surrounded by the most important buildings in the city. You should also check out Palazzo Medici-Riccardi, Palazzo Strozzi, Teatro Comunale and Casa Buonarroti. Florence does not have any tortuous streets, so it is easy to visit. The city center is compact, while most attractions are one next to another. The best way to visit is by walking, especially as a big part of the city center is exclusively accessible to pedestrians only. There are two local airports – Pisa and Amerigo Vespucci. Traveling by train is pretty fast and comfortable too. Most trains leave from the Santa Maria Novella station and reach to numerous European cities. As for buses, they are colored in vibrant yellow and orange. You can travel by bus until late at night. 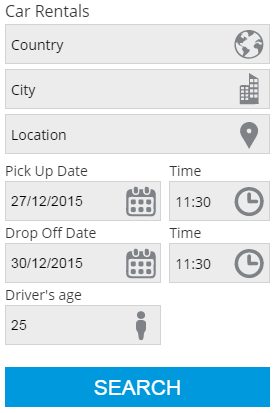 Taxi rides are fine too, but they can get expensive. In the end, Italy is certainly worth some appreciation. These are only the largest and most popular cities in Italy, but you might be surprised by what you will find in small and less popular cities as well. There is literally something for everyone out there, yet the bohemian style of this country will amaze you – narrow streets, plenty of bricks, old buildings and friendly people. Italy can be a romantic destination, as well as an artistic one. It can be ecstatic or crazy, especially if you love shopping or a hectic nightlife. It can become gentle and pleasant, but it might go historical and cultural right across the street. The general idea is that no matter what you expect from Italy, you will find everything in there. 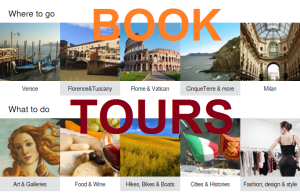 We hope our website with our travel guide can help you to choose for next holidays in Italy with us, Enjoy our tours and packages, book a cheap flight and a cheap hotel and read more of 500 pages about Italy! We think we are the most full and complete travel guide about Italy!!! Choose the perfect time of the year and book accordingly though. Chances are once you visit Italy, you will want to do it again. Visit Koh Rong the largest Cambodian Island. It’s a tropical paradise still undeveloped, no roads, no cars, just relax!!! Darex Travel searches hundreds of agencies and travel web and displays the best prices on flights, hotels and rental cars. Find cheap flights, hotel deals and rental cars in any country. 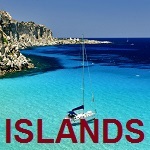 We have the most wonderful destinations for your holiday. DarexTravel.- Searcher of cheap flights & hotels in destinations worldwide. 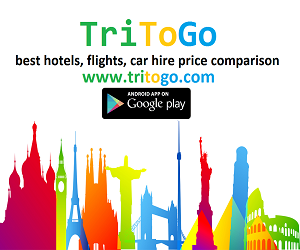 Looking for last flight deals or a list of cheap hotels in any city?. Whether you’re looking for cheap airfare for a big vacation or just cheap flights for a weekend getaway, we’ll find you plenty of cheap airfare and hotels to choose from.